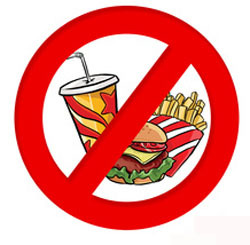 The Real Way To Stop Eating Fast Food « Burn The Fat Blog – Tom Venuto. The fast food industry is thriving, even when the economy is bad. The Chicago Tribune recently said that McDonalds is “recession proof.” As one of only two companies to turn a major profit during the recession (the other being Wal Mart), McDonald’s is laughing its way to the bank. The parking lot was full, it was standing-room only inside and the lines snaked around into the seating area!You’d think Brad and Angelina were there signing autographs or something. Nope. Just a regular weekend at breakfast-time. I was shopping in Wal Mart the same week and I almost passed out when I saw (smelled, actually) a Mcdonalds…INSIDE THE WAL MART! Also, with lines. So what does work? What’s the REAL way to stop eating fast food? The primary reasons they eat it anyway are because of the perceived convenience and a dislike for cooking! (I’d add another: they think fast food is always cheaper than healthy food). So, said the authors of this research paper, nagging people to eat more health food and warning them that “fast food is going to make us fat and kill us” is not the best approach. So what’s holding us back from implementing or taking this healthier eating advice? That said, I’m not going to nag you, scold you ortry to scare you out of eating fast food. I’m not going to lecture you about health food (not today, anyway). Nor am I going to bad-mouth the fast food restaurants. I’m going to lead the new charge by showing you just how easy and convenient it is to eat healthy and nutritious food and make it delicious. Here’s a few meal ideas (for starters) to provemy point. I apologize in advance for getting you addicted to this “chocolate peanut butter heaven.” It’s spot-on fat-burning, muscle-building nutrition, but it tastes like dessert! I’ll share some more recipes in future newsletters,and will compile my recipe project into a book or ebook one of these days. Plus I’m already publishing all my recipes for my inner circle members one by one as I create them. This means that my way of eating makes you more muscular and leaner… so you can look hot wearing very little clothes this summer… and be healthier…and save money too. I LOVE RECIPES! Thanks Tom! Dear Tom,Thanks for the newsletter. I’ve found it informative. Yet I just wanted to chime in a bit on this latest letter you sent. I really think you are missing one very important factor as to WHY people choose McDonalds over eating healthing. Besides the convenience, or the price, people just PREFER eating a juicy burger and greasy fries with a soda, over the healthy stuff. (health warnings be damned) I personally like to eat healthy, and I do for the most part, but to be honest, I would take the Big Mac and fries over your 2 minute black beans or any of the other recipes you offered as an alternative in your letter. They just don’t sound, well how shall I put it……very TASTY. Even for me, and I am committed to eating healthy at this point in my life, yet I could go for a Wendy’s triple at just about any time of the day or night. Healthy has to BEAT the MAC on all three frontiers before people will truly switch.Thanks for you letters,Dave. I’ve recently started eating a lot healthier than I have in the past. I now try to have 5 smaller meals a day, and I try to include some healthy carbs and protein in every meal.I eat a lot more fruit now than I ever have before, usually something like 1 banana, an apple or two, and an orange or two every day – I just stock up on fruits every weekend and bring some to work with me. They are quick and nutritious snacks, and not terribly expensive depending on where you shop.I never used to even think about fruit, but now I can’t even imagine not having my daily servings of fruit. I’ve really grown to like them and I don’t seem to ever get tired of them… They definitely satisfy my sweet tooth. I still have the occasional cheat cookie, but it does feel more and more as time goes on that I actually prefer good fruits over the artificial stuff. I can whip up all kinds of blender smoothie in under five minutes from scratch, including CLEAN-UP, from good stuff like cottage cheese or yogurt, berries/apple/banana, fish oil, nuts, spinach, oats, protein powder, flax meal, etc… and they keep me satisfied for hours. And taste GREAT!I can make a couple quick fish salads in under 10 minutes.Burgers, grilled chicken… all fast stuff. Heck, just pan frying (in a non-stick pan) some ground turkey or shrimp with veggies does NOT take long! And it’s pretty darn easy to cook up quantities of rice or beans or lentils or other grains and store.Fast food isn’t half as fast as much of what I make for myself. Admittedly, the veggies are expensive here, but then there’s the long term outlook on health. I’d rather pay a little more and eat a LOT healthier! And the taste is so much better! You are right on here – once you kick the habit though, it’s easier and easier to start eating healthy. The biggest factor is time – it appears to be much faster to eat junk. I always have hard boiled eggs and chicken breasts at the ready (in other words, I precook a bunch of chicken breasts and pre-boil a dozen eggs) so that when I’m pressed for time, I don’t resort to junk. Another idea – I eat green and red peppers whole, like an apple – they are so good and convenient. Tom your comment regarding the sweet tooth and indulging in sweets is right on target. The other angle on this subject has to do with addiction. Fat, Sugar, and salt are highly addictive and I believe it has more to do with the addictive nature of these foods than it has to do with the flavor or tastiness of them. I think the need for fat and the storage of fat is a very basic and primal human need. Of course in our modern world we are not out chasing a buffalo for dinner or gathering seeds and berries. Our food supply is readily available and we have not adapted very well to the excesses that we have in this world. We can get our “3 squares a day”. Sugar is an instant source of energy. A body craves these foods until the habit or addictive dependence is broken. Cold turkey is the only way to go. I think over time the habit of crap food can be broken. It does take effort and I agree with the earlier comment from the mother of 7. It has more to do with the health and longevity and the quality of life than looking hot in a swim suit. It is a sad state of the human condition to continue to eat un real food, smoke or overindulge in alcohol even when they know it is bad for you.Good topic…thanks TomPaul R.
Thats a great way to get people motivated to eat better – give us easy recipes that don’t look like hard work! Tom,Great article and recipes. Like some others have said, junk food is faster. At least until you get in the mindset of preparing food beforehand. I almost always have lentils and brown rice in the refrigerator, ready to be reheated in the microwave. A mix of lentils. brown rice, salsa and turkey burger is one of my favorite meals now. Tom:Thanks for another great post. although I don’t have a problem avoiding the fast food joints, I’m always stuck trying to choose between flavor and high nutritional value. It’s great to able to step away from the chicken & sweet potatoes every once in a while and take in something that’s both nutritious and tasty. Personally, I don’t know how people eat that stuff. And you’re right – convincing people to cook is nearly impossible, and I don’t see why. I rarely spend more than a 1/2 hour to make a meal, and it tastes so much better. Why would you want to eat something that tastes like greasy cardboard and chemicals?I put brain dead simple recipes on my blog, and still have friends and family that tell me it’s too hard. But they’ll make hamb. helper – which to me is a pain in the rear and tastes really bad. Go figure…And Dave- what’s wrong with chicken and sweet potatoes? They’re both good for you. Well, depending on how you make them I suppose…. The thing is you don’t have to give up your favorite foods like tacos, hamburgers and pizza—you just need to learn to make a healthier version of them that is calorie controlled. For example, I make my own version of a soft flour taco using a wholegrain tortilla, chicken, nonfat cheese, spinach, bell peppers, tomatoes, and salsa. I weigh all of the ingredients so I have a pretty good idea as to the calorie intake for the meal and then will enjoy two of them at a time. They taste so good! My favorite decadent food of all time would probably have to be pizza. I used to eat more pepperoni and mushroom pizza than I care to admit and would not want to give it up so now I just make my own version using a wholegrain crust, pizza sauce, nonfat cheese, sliced mushrooms, chicken and broccoli. As long as you don’t eat the whole thing in one sitting and carefully weigh all of the ingredients, you can enjoy a few slices from time to time and not gain weight. Eating healthy doesn’t have to be bland or unimaginative—you just need to learn how to cook and be willing to experiment with various recipes. I’m now looking forward to trying Tom’s pancake recipe since I’m also a pancake enthusiast. Great newsletter, i like your recipes, gotta try some of them out. Ray- one of my favorites – have had it almost every day for years. so fast and easy and tastes pretty darn good too! In your e-mail that linked to this column, you discussed the growing evidence that fast food is addictive. And yet here, you say nothing about overcoming that addiction. People say that they eat fast food because it’s fast or cheap, but in reality it is neither. For some, the appeal is sheer convenience, and cooking at home and carrying food around is not convenient. But many people eat fast food because it’s addictive, and breaking that addiction is very difficult. I have found that increasing my levels of omega-3 fatty acids helps to fight the addiction. I would love to have more suggestions. thanks for your post. Actually i have written about this at length before a few years ago. Its in the archives. in summary, I agreed that there was evidence that food addiction has similarities with drug or alcohol addiction with regards to the brain neurochemistry, however, i did not agree with the claims such as junk food is as addictive as heroin or crack and I felt those claims were journalistic sensationalism that is not helping anyone. The question is still being debated among researchers. 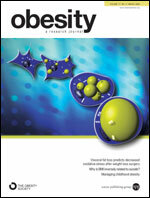 There is a new paper in the peer reviewed scientific journal obesity reviews (january issue) 2 articles actually – one about neurobiological overlaps beteween obesity and addiction and another looking at the pros and cons of the validity and usefulness of the concept of food addiction. It is controversial and while there ARE similarities between drug and food addictions and MANY many people feel that food is addictive, the science behind whether food addiction is a valid concept is discussed and debated. I could write up what these cambridge researchers found in an upcoming post. I also just read sugar fat salt by michael moss btw and could discuss that as well, along with his NYT article. In my previous article i made a few simple suggestions, all of which are supported in cognitive behavioral psychology – avoid highly restrictive diets, know your bingeing triggers, create a supportive environment (clear junk and food cues out of your kitchen and house), use stress control techniques, and get social support. In the recent article also provided suggestions: learn how to make delicious healthy food that is itself addictive… try that chocolate peanut butter yogurt pudding and say its not addictive… well, at least I cant stop eating it, LOL. Thanks again, cheers! Excellent suggestions. I’ll check out the other article. Thank you so much. Tom, excellent article. I liked how you focused on teaching how to make healthier meals is really the way to go instead of bashing the food industry. Looking forward to more recipes! Thanks monique – I’ll share more recipes here one at a time on this blog soon… and (one of these days!!!!) i will get that recipe book done! Cheers! tv. My parents used to nag at me to eat healthy but I loved my junk food. Convenience and money drive the fast-food industry. Instead of nagging at people to eat healthy we need to show them the true cost junk food and how convenient it is to eat healthy. Btw I started eating healthy even though I have no clue how to cook. My meals taste great and are easy to make. Best part…I’ve lost 22 pounds in the last 10 weeks. “THE TRUE COST” of eating junk food… indeed – good way to change perspective. congrats on the great results: 22 lbs in 10 weeks while eating easy meals that taste great – what could be better than that! Keep up the great work! there we go! Addiction works both ways!!! now, lets all get addicted to training too, and then we are GOLDEN! Hi, Tom. You are on the right track. I just needed this motivation to stop eating fast food so thank you so much 4 that. What do I do as a diabetic that can’t eat oatmeal, rice and beans? I love to cook but am getting tired of egg dishes for breakfast every morning and lean meat and salad for the other meals.